Fitted with a new, more powerful engine with slipper clutch, ready to unbridle a racing attitude. Built on an improved chassis integrating a monocoque frame, together with fully adjustable suspension. Poised between road and track, between pure performance, technology and effortless handling, the 959 Panigale sports a breathtaking design. Born from a tradition that has seen many Ducati models win the most important design awards, including the prestigious Compasso d'Oro, the Panigale family has always been an example of style. The LED light emits an immediately recognisable light signature, the headlight fairing optimises the aerodynamic protection and airflow to the engine, while the tail guard split in two parts makes the back even more aggressive. The twin-cylinder Superquadro on the 959 Panigale is an integral part of the chassis as well as being the desmodromic heart of the bike. 150 hp at 10,500 rpm and a torque of 102 Nm at 9,000 rpm are numbers worthy of a Superbike, which on the 959 Panigale are managed not only by an advanced chassis but also by a top-of-the-line technical package. The Superquadro in the 959 Panigale guarantees a power output of 150 hp at 10,500 rpm and 102 Nm of torque at 9,000 rpm. 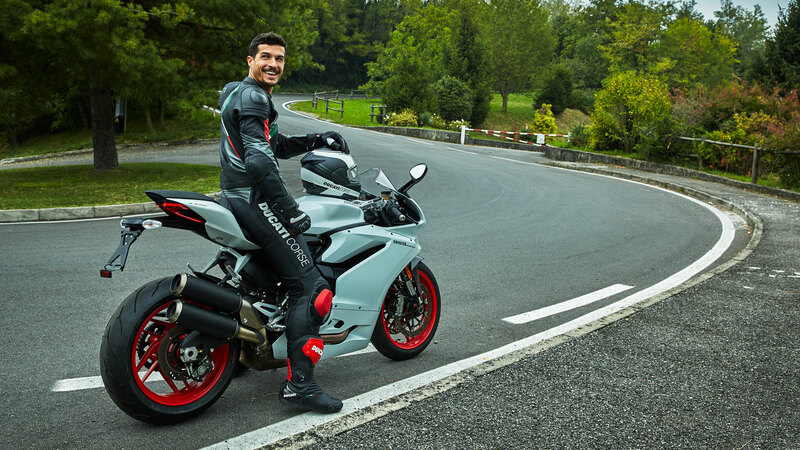 The Superquadro in the 959 Panigale guarantees a power output of 150 hp at 10,500 rpm and 102 Nm of torque at 9,000 rpm. Thanks to the L-twin cylinder and Riding Modes, the rider can easily modulate the high power of the engine and adapt it to his or her riding style and road conditions. The engine was conceived as a structural element of the frame, so its architecture has been completely revisited to ensure the best design possible in terms of conformation, weight distribution and robustness. The engine was conceived as a structural element of the frame, so its architecture has been completely revisited to ensure the best design possible in terms of conformation, weight distribution and robustness. The cylinders, always arranged at 90° with respect to each other, have been rotated backwards by another 6° around the crankshaft to the point of reaching a 21° angle between the front cylinder and the horizontal plane. This has made it possible to shift the engine forwards, to improve the weight distribution between the front and the back and to obtain the perfect positioning of the attachment points of the cylinder heads to the 959 Panigale monocoque frame. The 959 Panigale has an advanced six-gear transmission with large diameter gears to ensure greater resistance. The 959 Panigale has an advanced six-gear transmission with large diameter gears to ensure greater resistance. The multiplate dry clutch with hydraulic control, equipped with a "slipper" torque limiter, makes it possible to avoid sliding of the rear wheel during aggressive downshifts. Thanks to fluid gear engagement, an excellent feel and minimal effort required to use the clutch, the 959 gearbox helps keep the bike in perfect balance both on the road and on the track. 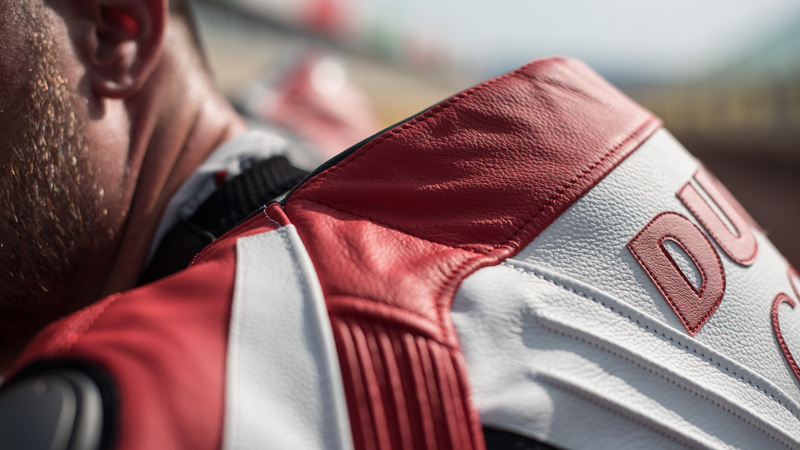 The 959 Panigale was ergonomically designed to provide perfect integration between the rider and the bike. 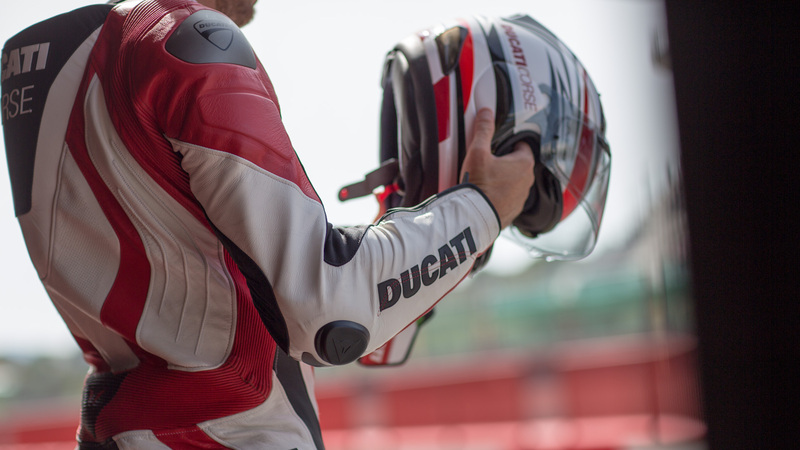 The 959 Panigale was ergonomically designed to provide perfect integration between the rider and the bike. 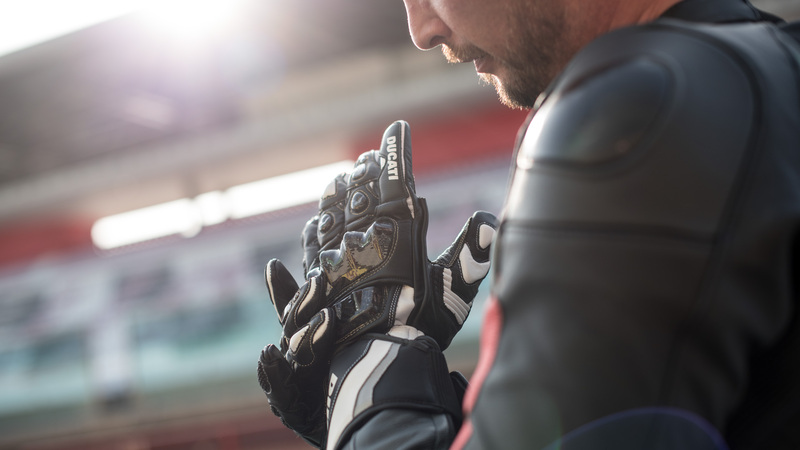 The comfortable anti-slip seat, the reduced profile between the lower limbs in the riding position and an optimised positioning of the handlebars offer the perfect position for controlling the bike with total confidence both on the road and on the track. The 959 Panigale chassis represents the continuation of the innovative Monocoque concept: several components have been integrated to obtain a single, compact and lightweight element that enhances the driver's position by perfecting the driving position. The 959 Panigale chassis represents the continuation of the innovative Monocoque concept: several components have been integrated to obtain a single, compact and lightweight element that enhances the driver's position by perfecting the driving position. 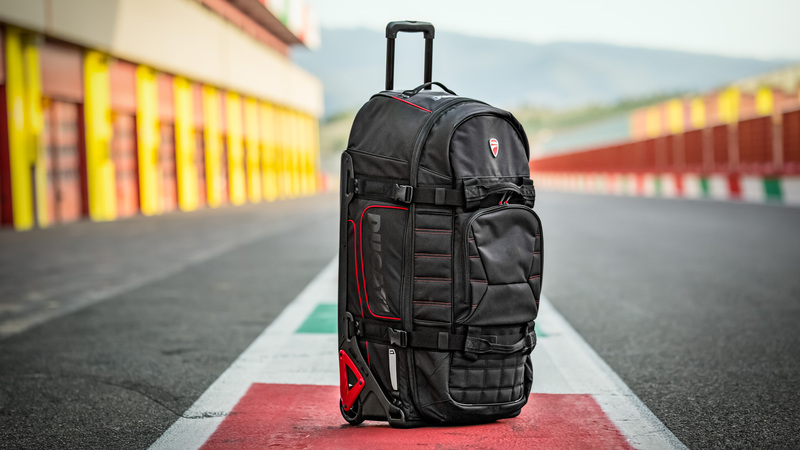 The monocoque structure, made of cast aluminium to increase its properties of resistance, uses the Superquadro engine as a structural element and contributes to making the Ducati Superbikes the lightest in their category. The monocoque frame is secured directly to the engine head and in the front houses two aluminium bushings into which the steering tube bearings are inserted. Apart from fulfilling the classic function of the frame, the monocoque also acts as an air-box. In fact, in addition to the air filter it also houses the throttle bodies and the fuel circuit complete with injectors, which take advantage of the bottom of the steel tank which becomes its cover when mounted in place. The 959 Panigale is equipped with a powerful yet manageable front braking system featuring new Brembo M4.32 monobloc callipers and comes standard with the new Bosch ABS 9MP anti-lock system. The 959 Panigale is equipped with a powerful yet manageable front braking system featuring new Brembo M4.32 monobloc callipers and comes standard with the new Bosch ABS 9MP anti-lock system. The system ensures the shortest possible braking distances, even on road surfaces that are wet or dirty, with simultaneous control of rear lift to provide maximum braking stability. 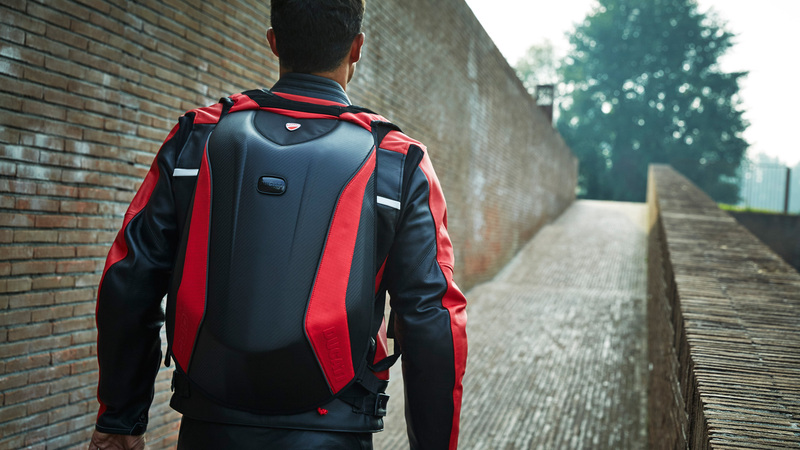 Specifically calibrated for sports use, the system offers three levels of intervention, each associated with a Riding Mode. 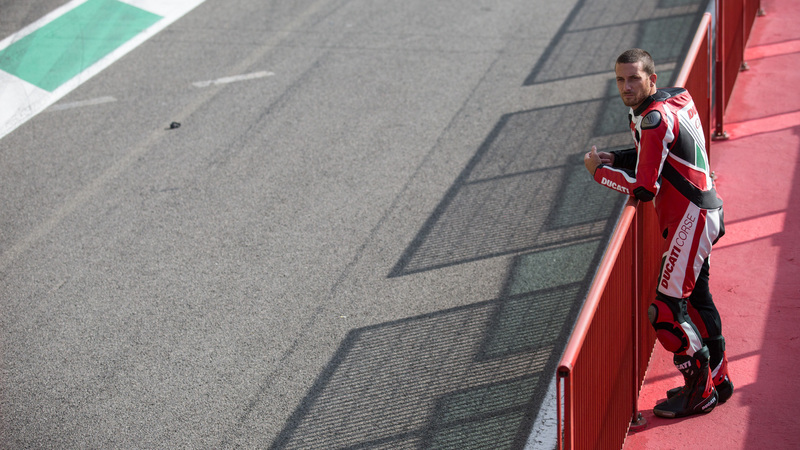 In Race mode, the system only works on the front discs to allow the use of the most advanced braking techniques on the track. 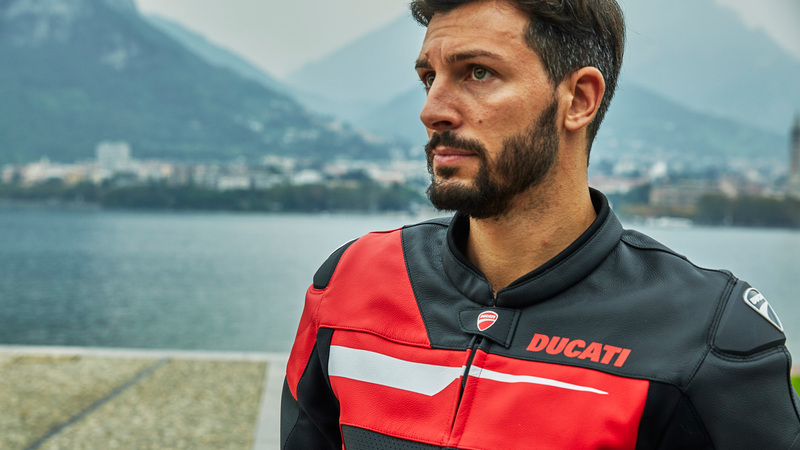 The Ducati Traction Control system (DTC) supervises the rear wheel slipping control and settings vary through eight different levels that are programmed to offer a different tolerance level to rear wheel slipping. 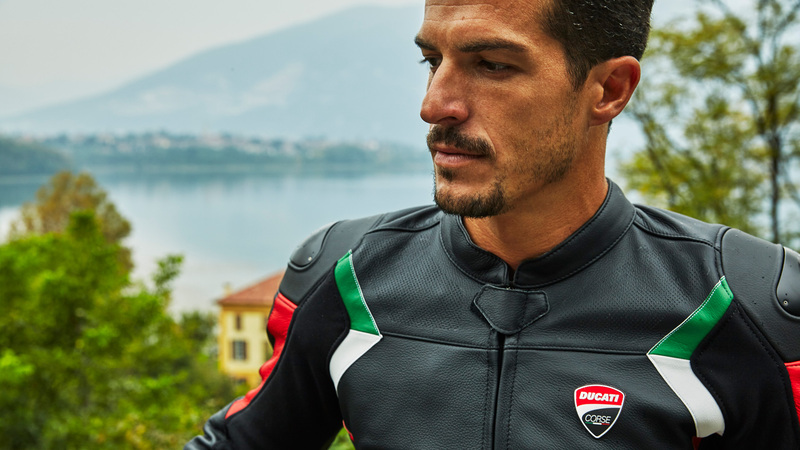 The Ducati Traction Control system (DTC) supervises the rear wheel slipping control and settings vary through eight different levels that are programmed to offer a different tolerance level to rear wheel slipping. Each Riding Mode features a pre-set intervention level. Level eight indicates system intervention whenever a slight slipping is detected, while level one is for very expert riders because it is less sensitive to slipping and intervention is hence more rare. The 959 Panigale dashboard is an advanced multifunctional LCD unit whose layout is derived from the excellent experience gained by Ducati Corse in competitions like the Superbike and MotoGP world championships. The 959 Panigale dashboard is an advanced multifunctional LCD unit whose layout is derived from the excellent experience gained by Ducati Corse in competitions like the Superbike and MotoGP world championships. 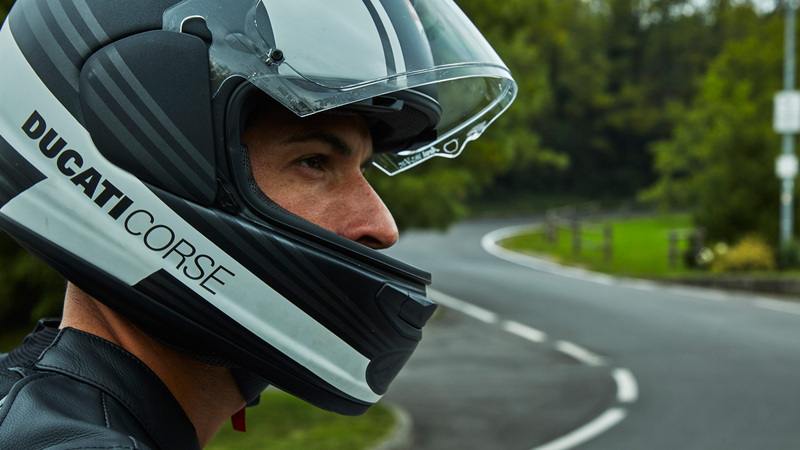 Being able to see a wide range of information in a highly visible format, even when the rider crouches behind the windscreen at maximum speed, together with the choice of information displayed on the basis of the selected Riding Mode, allows the rider to rapidly absorb all the most important information during any type of use. 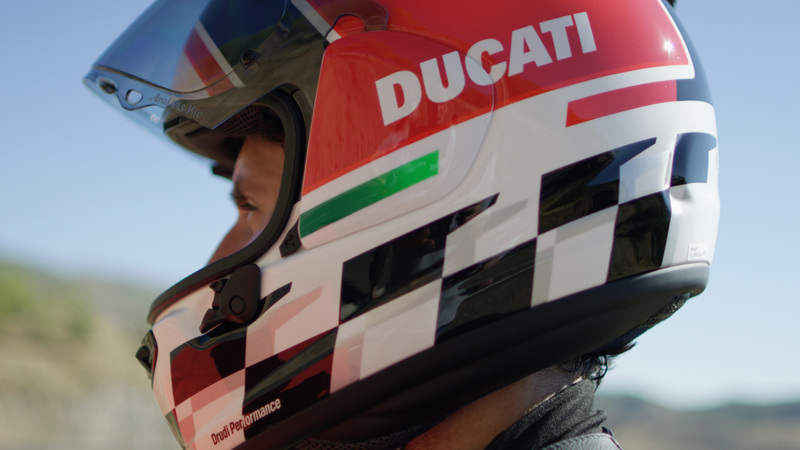 The Ducati Quick Shift (DQS) is the electronic shifter control system used for racing purposes that allows the rider to shift up under acceleration without using the clutch, keeping the throttle open and thereby saving precious fractions of a second. Contact a dealer for and book your test ride. DRE Racetrack Academy Excitement, adrenaline and fun: the DRE Racetrack Academy course combines all with a very high level of instruction. 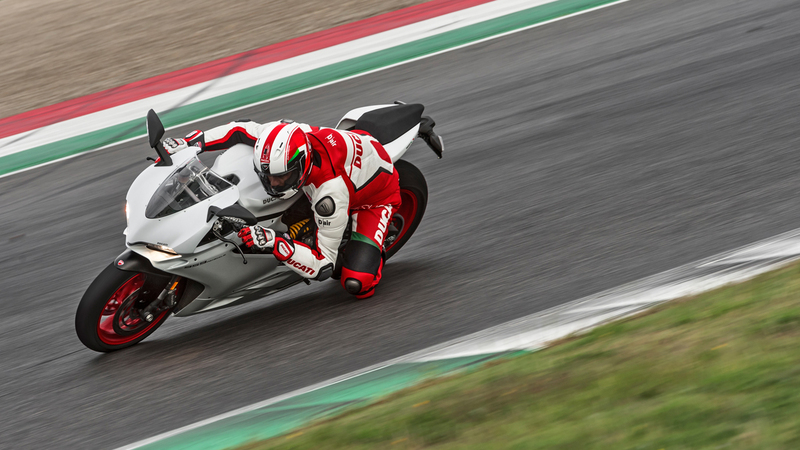 Interview with Marco Sairu The 959 Panigale Superquadro as told by those who designed it.